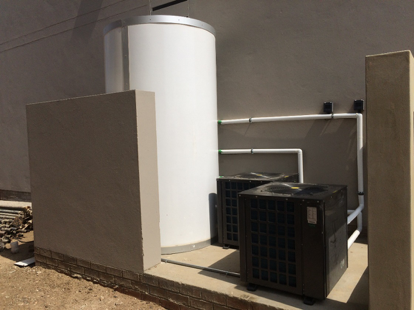 The C&I Hot Water Solutions division has been set up to develop, design, install and distribute high-quality, highly efficient hot water storage vessel or heat accumulators for the Southern African market. Innovative cutting edge technology, superior quality and dedicated staff have made SEG the perfect partner in providing the right solution in storing energy. 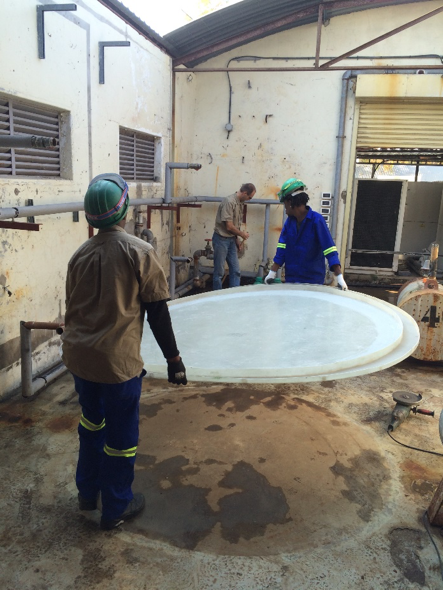 By combining our expertise and strength with that of our partners in South Africa, Germany and the Far East, we are able to supply new and exciting products for the Southern African market. 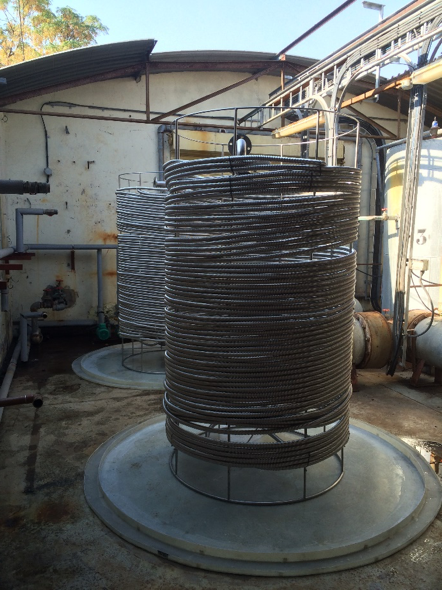 A continuous process of research and development provides the right solution for hot water generation, cold water storage, water management and storage. 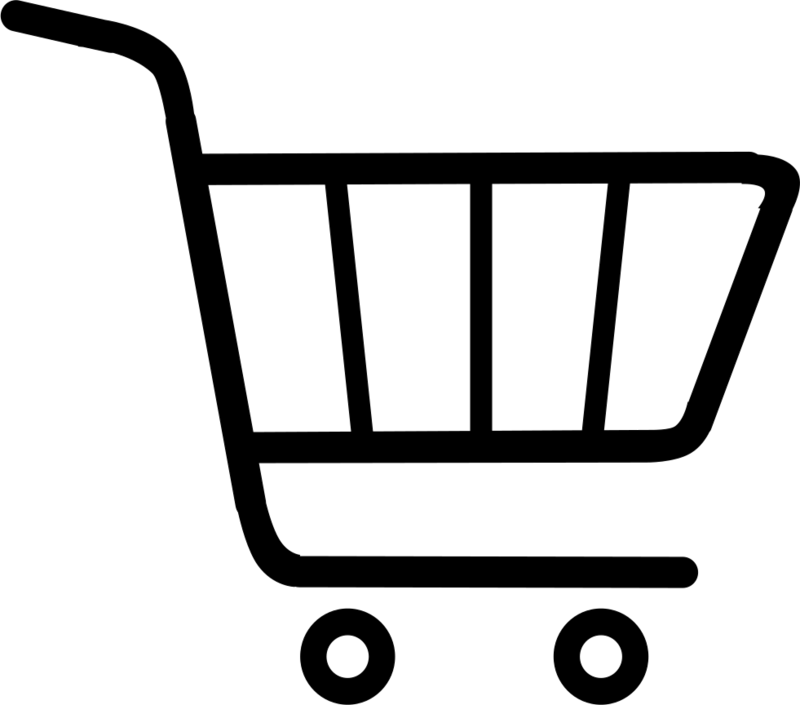 SEG is a specialist in supplying products related to the conservation of our environment. Through a dedicated team of specialists, we are able to provide the right solution for the right application. Solar Energy Group is changing the way the world uses our natural resources. Our goal is to make energy and water management as integral as accounting to the operation of every organization. We help commercial, institutional and industrial organizations use their resources more intelligently, pay less for it, and generate cash flow that benefits the bottom line through our complete suite of technology-enabled energy management solutions. 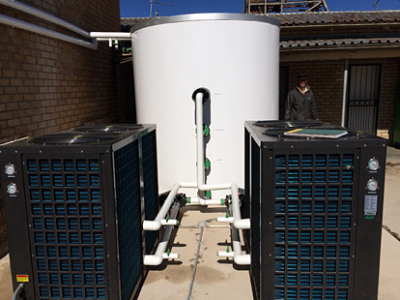 Heat pump technicians that oversees assembly and installation of all our turnkey projects. Hot water consumption is measured by Wi-Fi smart meters and each owner or tenant is billed individually. 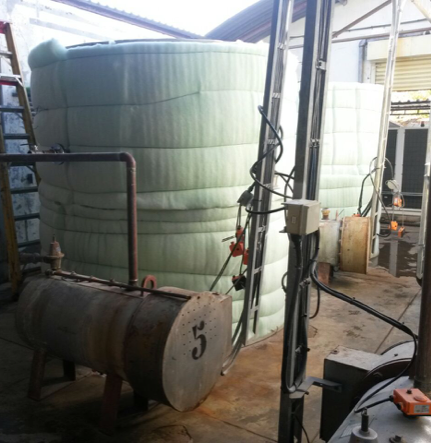 Which means that the fiberglass tank is in essence a pot of water that is being energized up to 60 degrees by means of the heat pump. By the time it reached the top, it has reached 60+ degrees Celsius. 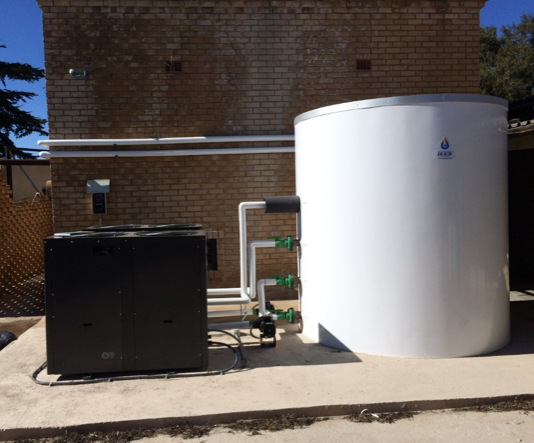 Our tanks are perfectly insulated, and has therefore a zero standing heat loss. By doing this, we increase the energy efficiency by at least a further 10%. 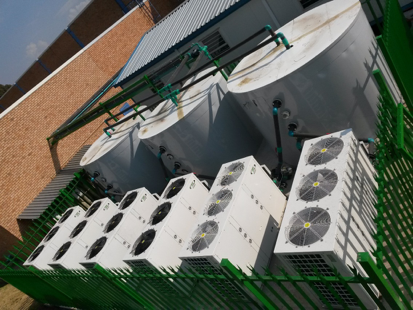 A combination of solar heat collector panels, heat pumps and heat recovery is used which has an energy saving of more than 60%, and with our tank combination, we have reached savings as high as 70%. We created an off-site monitoring system, that allows us to view the entire plant operation, and this gives us early warning system in case something goes wrong. 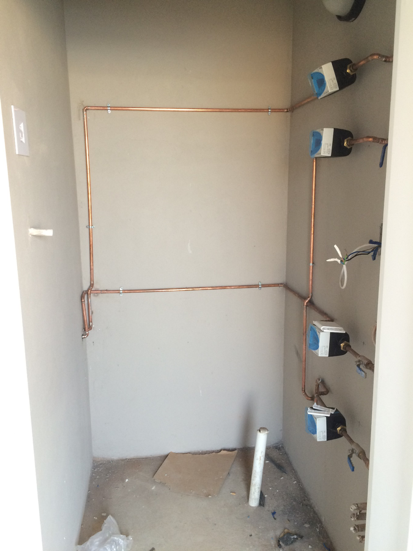 We installed the system at Airchefs in Kempton Park, and we can have a technician on site, even before the client realizes they have a hot water problem.